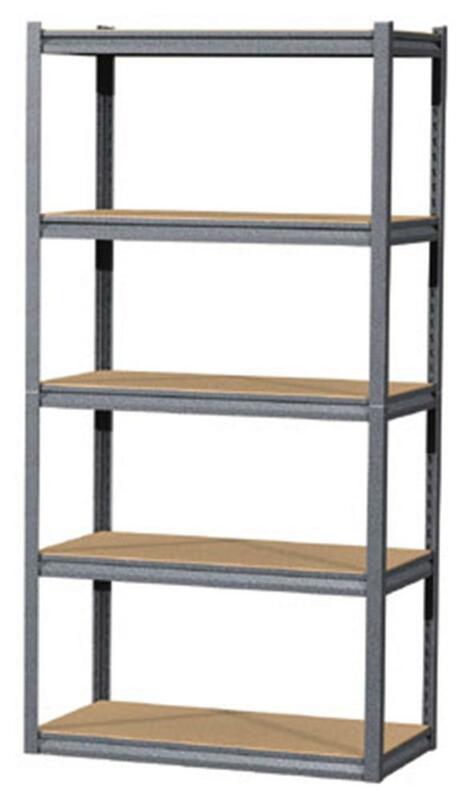 Durable steel shelving that is assembled fast and easy. Vertical or horizontal assembly to fit most any space, 1000lb. capacity and measures 72"(H) x 36"(W) x 16"(D). Features rugged 7/16" particle board shelves and powder coated steel with smooth rust-resistant finish.